The Japanese government has announced $2.7 million worth of food assistance to Liberia to address the country’s food security situation. The disclosure was made by the Japanese Foreign Minister Taro Kono when he held a bilateral meeting with Liberia’s Foreign Minister Gbehzohngar M. Findley at his Foreign Ministry office in Tokyo, Japan. 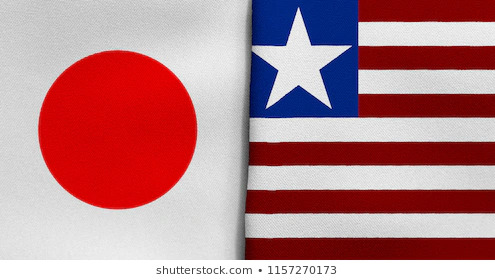 According to a Foreign Ministry release on Tuesday, Minister Kono told his Liberian counterpart that the Japanese government is intensifying efforts to elevate Japan-Liberia bilateral relations. As part of this effort, Minister Kono said, his government will provide $2.7 million worth of rice to Liberia to be sold at minimum cost in order to alleviate hunger in the country. He added that proceeds from the rice would be used to tackle the government’s Pro-Poor developmental initiatives. The Japanese minister indicated that the Japanese Embassy accredited to Liberia will work closely with the government in promoting Japanese investments, the release said. He told Minister Findley that the government of Japan looks forward to seeing President George Manneh Weah in Tokyo next year. Liberia’s Foreign Minister Findley applauded Japan for the level of collaboration and support Liberia has received so far from the Asian country. “Your Ambassador to Liberia is working very hard with our technical team to deliver the message of the food aid to our people. We also want to thank the government and people of Japan for the level of collaboration we have received thus far,” Minister Findley told his Japanese counterpart at the meeting. The Liberian Foreign Minister also recounted the numerous humanitarian assistance of Japan to Liberia during the Ebola crisis in 2014 as well as the many infrastructural work that is being carried out in the country by the Japanese, specifically the Somalia Drive Phase Two Road Project which, according to him, will soon commence, following the signing of an agreement between the two countries.